Screen printed t shirts are the go-to option when looking to promote an event, gain wider exposure for products and services and ultimately build the brand. The fact is, while there are now numerous ways to print designs onto shirts, or any clothing for that matter, screen printing has remained one of the most widely-used methods – and with good reason. What Can Screen Printed T Shirts Be Used For? Screen printed t shirts are especially effective in advertising upcoming events. Custom t-shirts are also a great tool for marketing products and services. They may even be used as uniforms, which can contribute to brand building. As a result, many businesses usually offer them as giveaways. Schools as well as other organizations and institutions also make use of screen printed t shirts. They can be a great way to show esprit de corps, which means that if you want students or members to experience a sense of unity, screen printed school or organization shirts are the way to go. Some people even use screen printed t shirts to promote awareness for a cause they are passionate about, be it environmental awareness or other causes. Screen printed t shirts are cost-effective, multi-functional, highly effective and can be easily produced. However, those are not the sole reasons why someone should think about getting custom shirts printed. By distributing custom printed tees and letting event participants wear them, lots of other people can learn about the event name as well as the date and place. This can be handy in attracting more attendees. The custom printed shirt may also be an “incentive” of sorts, as some people would definitely want to get to the place and get their own shirts. It can also serve as a keepsake that can get people to think about the event, which is even more helpful if events are held on an ongoing basis. Since the details and the design are printed onto a shirt, wherever the person wearing it goes, it will gain wider exposure. This is, in some ways, better than the typical banner. This can work well if offering the shirts as giveaways. Also, if organizing a fundraising event, screen printed t shirts can be a good fund raising idea. Getting a company logo out there can help promote brand awareness. Having staff wear them on a regular basis can also contribute to that. As mentioned, some companies use them as uniforms. If planning an event, having the facilitators wear them would help promote the organization, and the participants would sure appreciate it since they can easily tell who they should approach, should they need anything. Well-designed screen printed t shirts can catch attention. 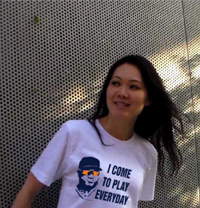 And the truth is, people typically can’t help but read shirts – especially custom ones. Decent graphics are required if you want screen printed tee shirts that can make an impact, and with a little research and creativity, that can be achieved. If you can spare the extra cost, get assistance from professional designers. There is virtually no reason why a company should not make use of custom shirts for promotions. 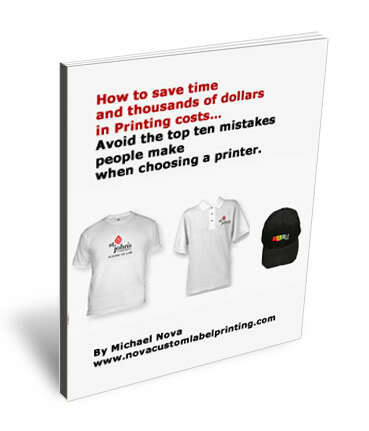 After all, the benefits of using screen printed t shirts outweigh the costs by far. The above Screen Printed T Shirts article was written by L Taylor for Nova Custom T Shirt Printing.